Last week, the news broke that Ozzy Osbourne was forced to postpone or cancel all of his 2019 tour dates as he recovers from a nasty fall last month that required surgery. That left Rocklahoma without a headlining act for the festival’s Saturday, May 25 date. 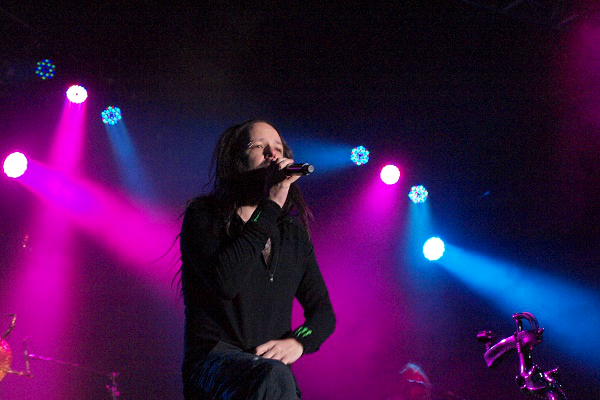 Now, alternative metal band Korn has been tapped to replace Osbourne in the lineup, bringing staples of familiar rock songs to the table, such as “Got the Life,” “Freak on the Leash,” “Coming Undone” and more. The band has sold nearly 40 million albums and notched two Grammys so far in their career. Rocklahoma is scheduled for Friday, May 24, through Sunday, May 26, 2019 at “Catch The Fever” Festival Grounds in Pryor, Oklahoma, right outside Tulsa. The festival, which turns 13 this year, will also offer performances from Disturbed, Shinedown, Bush, Seether, In This Moment, Steel Panther, Jackyl, Pop Evil, Asking Alexandria, Black Stone Cherry, Rocket Science, Dead Metal Society, Bad Wolves, Light the Torch and more. In total, more than 50 acts will rock the festival stages in 2019. A select number of weekend and single day general admission Rocklahoma tickets are still available via the festival’s official website at Rocklahoma.com. Military discount tickets are also available via GovX. For additional information on Rocklahoma, head to Rocklahoma.com.